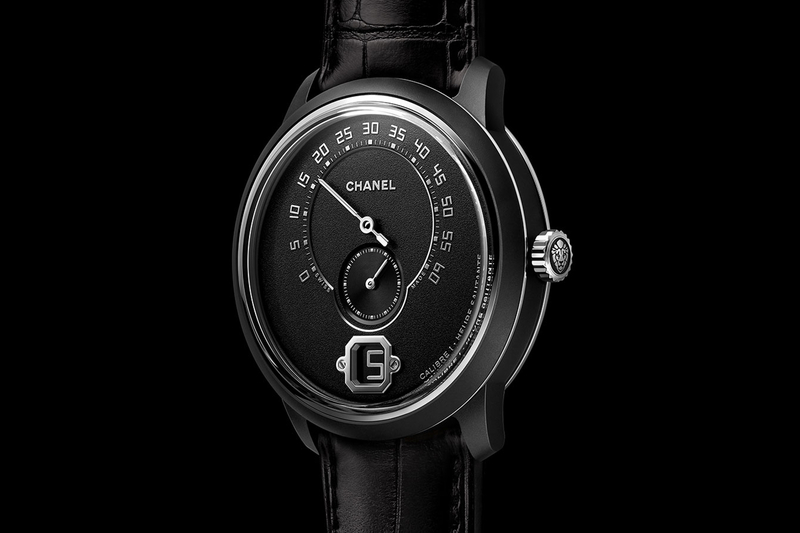 Ahead of Baselworld 2019, Chanel has released images of a new black ceramic version of their Chanel Monsieur timepiece. The Monsieur Edition Noire comes in the same 42 mm diameter case as before, but now it’s made from black ceramic, with a matte finish. The dial has a textured matte finish, with relief engraved (raised) gradations for the minute ring. Providing a nice contrast to the otherwise stark black color scheme are stainless steel or silver accents on the flange, sapphire caseback, crown, jumping hours window, hands, and minute/second chapter rings. Hours are displayed by a jumping hour function located at 6 o’clock. 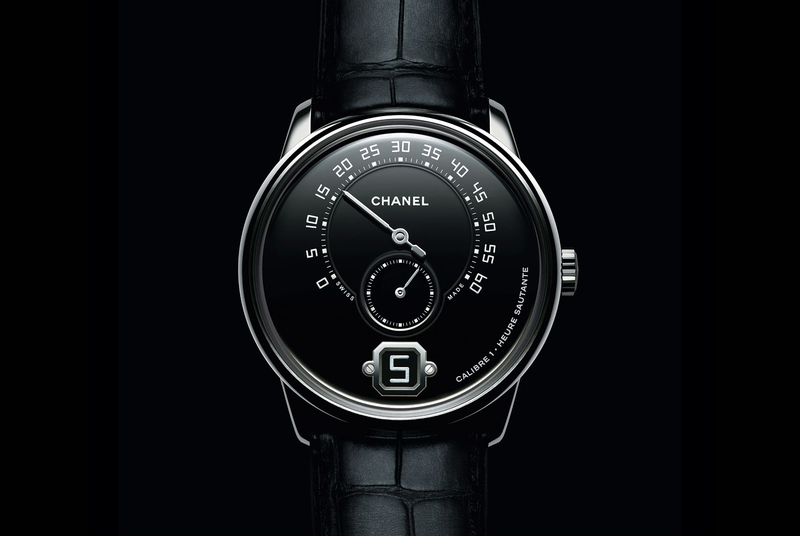 Minutes are just above, inside the large retrograde (240-degrees) minute display. Through the caseback you can see Romain Gauthier’s influence, particularly on the bridges and to some extent, the finishing. The modern manually wound movement has 72-hours of power reserve and was developed in-house, with the help of Gauthier’s, so it’s not a true in-house caliber, per se. Although, the price tag definitely reads more like an in-house. Expect this to be north of $60K. Water-resistance is 30 meters. The Monsieur Edition Noire will be available as a numbered limited edition of 55 timepieces.